McEvoy names Vorster as new SA jockey. 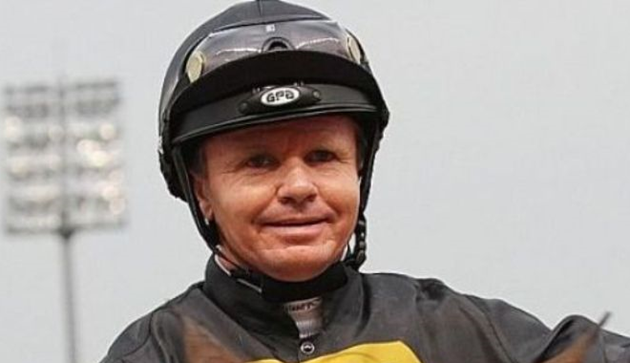 South Australian jockey ranks will be boosted with the news that Singapore-based, South African-born Barend Vorster will be moving to Australia to ride for leading trainer Tony McEvoy. McEvoy put out an expression of interest in early November last year, after South Australia’s leading jockey Jamie Kah decided to freelance, rather than be committed to the McEvoy stable. While receiving interest from some well-established jockeys based in Victoria, Vorster was the clear top selection for McEvoy. "At 41 year-of-age, he brings a wealth of experience having ridden all over the world and he’s an easy sell to all of my owners," McEvoy said. His experience and knowledge will be greatly appreciated in the South Australian jockey ranks, having ridden in over 6000 races, winning four Group 1’s, four Group 2’s and fifteen Group 3 races. "As we are essentially replacing Jamie Kah, we needed someone who is different to her and someone who is better than her, Vorster is the package deal,” McEvoy said. “He’s ridden all over the world, he can get down to 50kg, he’s strong with both hands, he’s just at an elite level." Vorster will move to South Australia in the next few weeks and will be based in the Barossa full-time, alongside of McEvoy’s apprentice Chris Caserta. Surprisingly with interest from jockeys based in Victoria and internationally, McEvoy received no requests from any South Australian-based jockeys for the position. Last Edit: 3 months 1 week ago by Bob Brogan. Barends replacement in Singapore is Callan Murray whose contact in HK is not being renewed. Callan and I had reached a verbal agreement in the last few week to ride in Mauritius for the Daby stable. In the last 48 hours he was ignoring my calls until early this morning he confirmed that he has accepted the job in Singapore. Don.t blame him. Singapore pays good money. JP Van Der Merwe is also in Singapore. Getting some terrible rides but did ride a favorite on Friday,unfortunately unplaced.